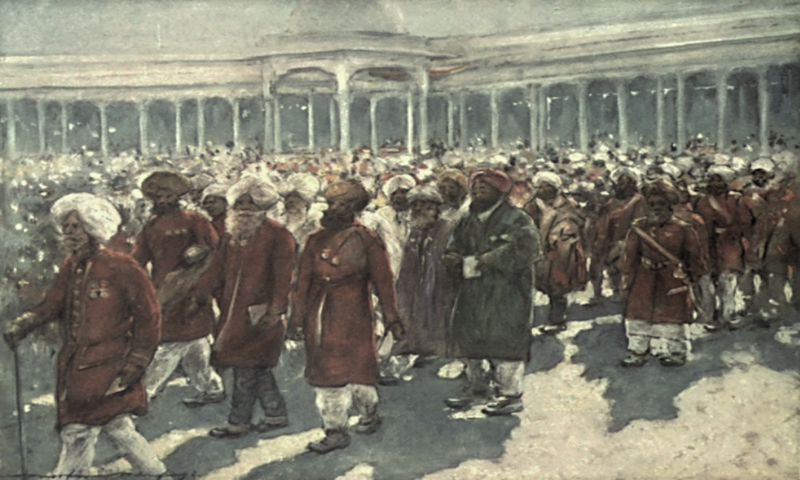 The Delhi Durbar of 1903 was held to celebrate the succession of British monarch King Edward VII (the great-grandfather of the current British monarch, Queen Elizabeth II) as the Emperor of India. The British Empire, whose reins were successfully taken over by the British government from the East India Company after the failed Indian Mutiny of 1857, was at its zenith. 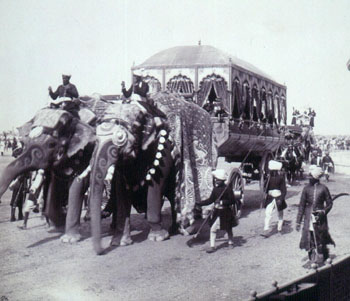 Lord Curzon, the Viceroy of India at the time, was determined to make this Durbar (there had been one earlier Durbar in 1877 and another would follow in 1911), an awe-inspiring display of British colonial power. Descriptions of the 1903 Durbar are filled with accounts of unabashed grandeur. The 10-day event was well attended by emissaries from many nations. 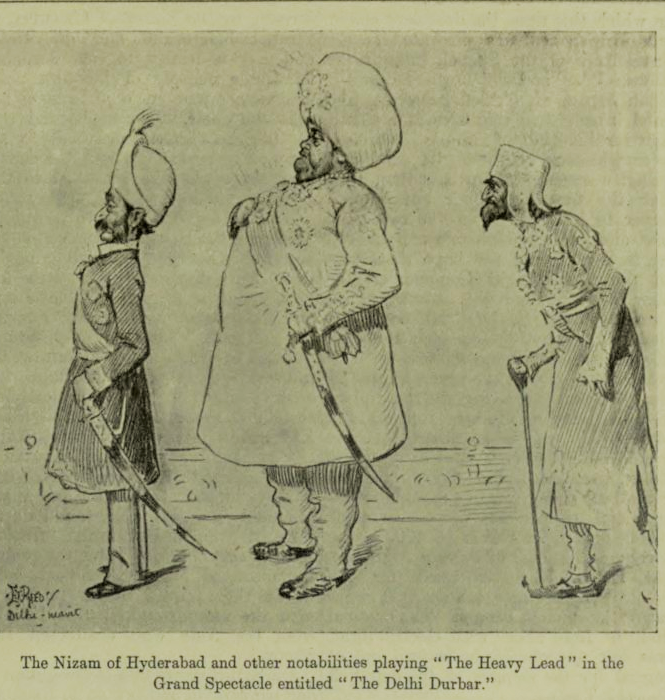 India’s wealth, at the service of the Empire and Crown, was on display. 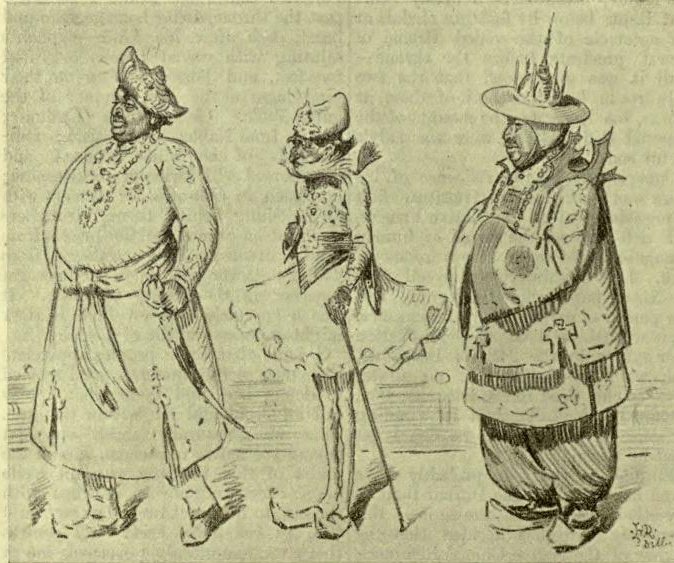 Rajahs summoned from all over the country were paraded, fully ornamented, before the Viceroy and the Duke of Connaught (the King’s representative). The British Indian army marched before the colonialists who commanded them. Uniformed men and “all the glory and pride of India were assembled” to pay public homage to the British at this glittering event. Shefali Chandan is an educator and editor of Jano, the online history magazine for Indian families. 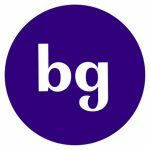 She has worked for 2 decades in children’s media at organizations like Scholastic, Time Inc. and PBS Kids. 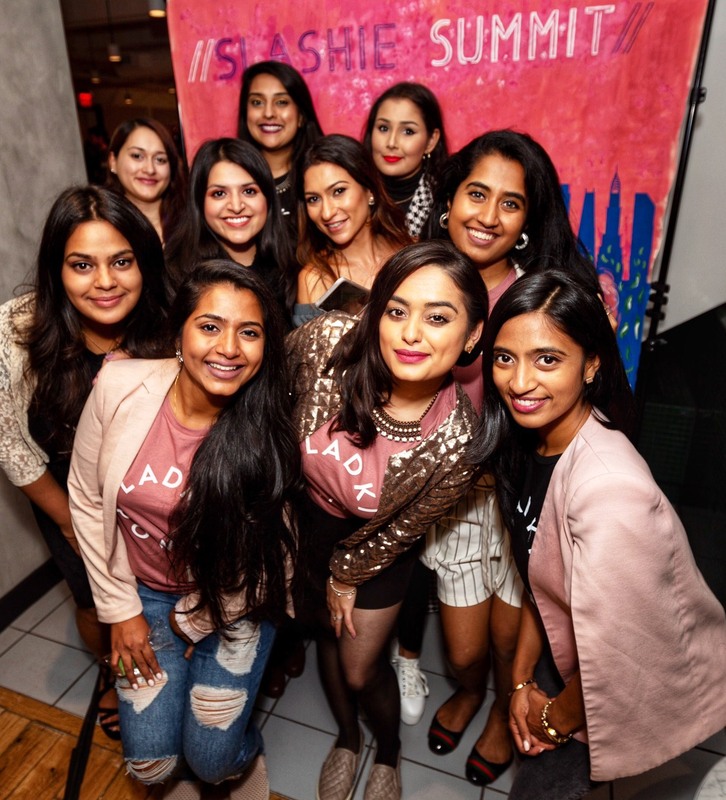 Shefali has always been a history buff and now brings her extensive experience in education to craft high-quality content taken from stories in history for South Asians in America and elsewhere. She lives in Reston, Virginia with her husband and daughter. You can reach her at [email protected].